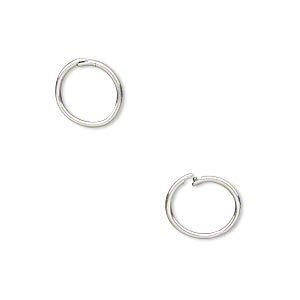 Loop Lock, JBB Findings, antique silver-plated pewter (tin-based alloy), 13mm double-sided textured flat round. Sold per pkg of 4. Item Number: H20-A4071FN Have a question about this item? 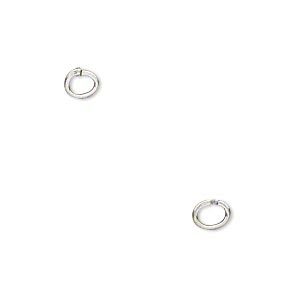 Use antique plated pewter (tin-based alloy) Loop Lock findings to create a connection anywhere with links, loops and lengths of chain. "Locking" closure gives added security with a simple pinch of the pliers. 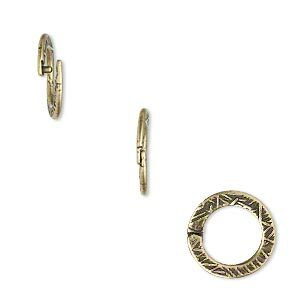 Loop Lock, JBB Findings, antique brass-plated pewter (tin-based alloy), 13mm double-sided textured flat round. Sold per pkg of 4. 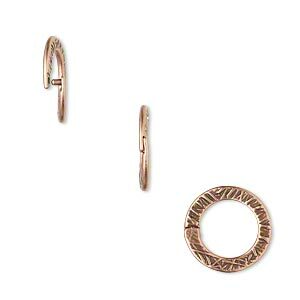 Loop Lock, JBB Findings, antique copper-plated pewter (tin-based alloy), 13mm double-sided textured flat round. Sold per pkg of 4. 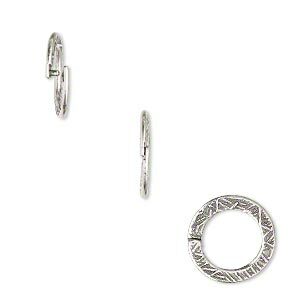 Loop Lock, JBB Findings, antique silver-plated brass, 5x4mm oval. Sold per pkg of 4. 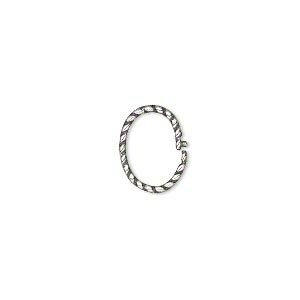 Loop Lock, JBB Findings, antique silver-plated brass, 7x5mm smooth oval. Sold per pkg of 4. 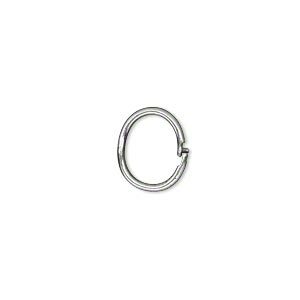 Loop Lock, JBB Findings, antique silver-plated brass, 8x6mm smooth oval. Sold per pkg of 4. 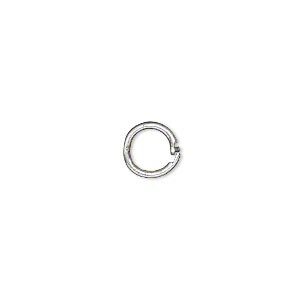 Loop Lock, JBB Findings, antique silver-plated brass, 10mm round. Sold per pkg of 4. 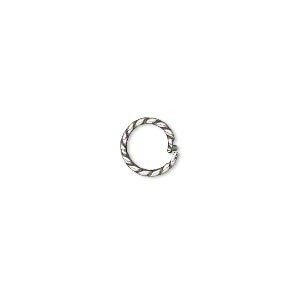 Loop Lock, JBB Findings, antique silver-plated brass, 8mm twisted round. Sold per pkg of 4. Loop Lock, JBB Findings, antique silver-plated brass, 12x10mm smooth oval. Sold per pkg of 4.